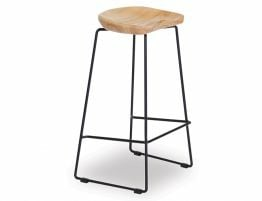 Look no further then this Rory Hong Kitchen Counter stool for all your breakfast bar needs. 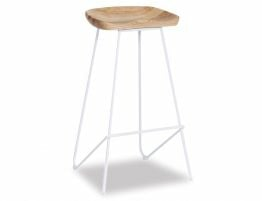 The concept of this beautiful designer in Australia stool is soft and subtle with plenty of interior styling and appeal without screaming at you from the kitchen. 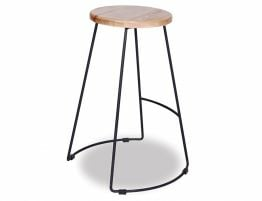 The soft round palette of the solid timber ash seat brings in the natural elements and offers a gentle plantation style feel to the room. 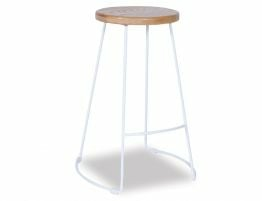 The white metal frame of The Rory Hong Kitchen Counter Stool mimic's the curved seat with a minimal thickness wire stand that also faintly blends ingeniously into the room. 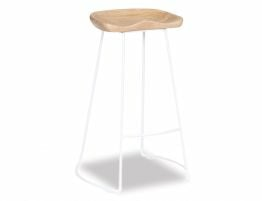 The no back detailing allows for it to indirectly be placed under the counter top. 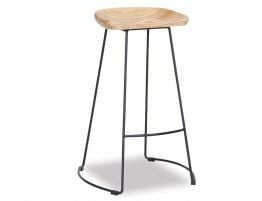 Don't fret when it comes to shopping for your new stools. 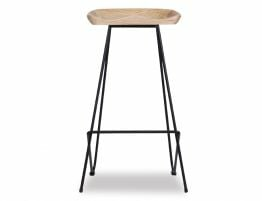 This Rory Hong kitchen stool is the obvious choice for your kitchen bench.